Christine Blasey Ford's lawyer released what amounts to a ridiculous list of demands on Thursday in what's clearly nothing more than an attempt to delay Judge Brett Kavanaugh's confirmation hearing indefinitely. As the Daily Caller reported on Monday, "Should Kavanaugh’s nomination falter, the Trump administration has little hope of installing a new justice on the high court before the end of the year, and less still should Democrats seize control of the Senate in the midterm elections." "[T]he Senate took an average of 67 days to confirm the last nine Supreme Court justices. Based on that schedule, time does not allow the Senate to confirm a replacement nominee ahead of the November midterm elections, particularly in view of the fact that President Donald Trump will likely take several days — if not considerably longer — to select a new candidate." The Dems are hoping to scuttle Kavanaugh's nomination, win the midterms, and then stall out until the end of Trump's presidency. Indeed, "white males" are no longer allowed to ask women questions. It's Ford's lawyers who want to avoid the optics of Ford being questioned by Kavanaugh's female lawyer. I guess she has a doctor's appointment! 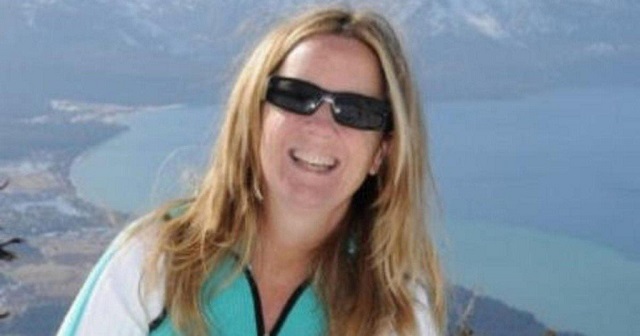 "She wishes to testify, provided that we can agree on terms that are fair and which ensure her safety," Ford lawyer Debra Katz wrote, asking to talk with committee staff about the "conditions" for her testimony. The notion Kavanaugh would testify first when he's the one being accused is so insane you can only laugh. This whole stunt is so ridiculous it's beyond imagination. Hopefully, it will backfire tremendously, Kavanaugh will be confirmed and he'll have a new understanding of just how shameless and depraved today's Democrats are and how important it is they be restrained.